Partnership packages are now available to organizations looking for an opportunity to increase brand awareness and boost sales of information and communications technology (ICT) related products and services in the privacy, security and trust (PST) field. As a PST2010 conference partner your organization can network with our attendees and associate your brand with a high profile event, one that has been recognized globally and is continuing to grow in attendance on an annual basis. PST2010 is an international conference featuring a uniquely “intimate” environment where attendees can share and learn from each other’s experiences. It provides a forum for the private sector to explore opportunities to collaborate with public sector organizations and academic researchers on projects of mutual interest. The conference agenda includes highly respected keynote speakers, panels, research paper presentations, Innovation Day, workshops, tutorials, panel discussions, a poster show, and a networking reception, as well as an awards banquet. In recent years the PST conference has been covered by newspaper, TV, radio and magazine media outlets. Private sector and public sector executives, researchers and academics. Cutting-edge PST researchers from around the world. Decision makers from organizations looking for solutions to PST related problems. ICT professionals and PST practitioners. Managers and influencers representing organizations looking for solutions to problems related to Public Safety and Security (Innovation Day, August 17). What is the Annual Conference on Privacy, Security and Trust? PST2010 is the eighth annual conference on Privacy, Security and Trust (PST). PST2010 provides a forum for researchers world-wide to unveil their latest work in privacy, security and trust and to show how this research can be used to enable innovation. PST2010 is hosted and organized by the University of New Brunswick (UNB) and the University of Ottawa (UO) in cooperation with the National Research Council of Canada Institute for Information Technology (NRC-IIT). Ali Miri (University of Ottawa, Canada and Ryerson University, Canada). Michael Geist (University of Ottawa, Canada). PST2010 is being held in cooperation with IEEE Technical Committee on Security and Privacy. High quality academic papers are selected through a competitive double blind review process and published in the conference proceedings. Where and When is PST2010 Being Held? 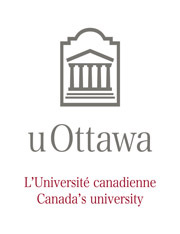 The conference will take place August 17-19, 2010, on the UO campus in Ottawa, Ontario, Canada. PST2010 will include workshops, tutorials, panel discussions, keynote speakers, research papers, a poster show, and a networking reception, as well as an awards banquet. PST2010 has two major components: a one-day symposium (Innovation Day, August 17) and the PST Research Conference (August 18-19). Attendees can register for one day (Innovation Day) or for the full three-day event which includes Innovation Day. What is Innovation Day at PST2010? Innovation Day (August 17) will feature keynotes addresses, invited talks, and panel discussions related to this year’s Innovation Day theme “Collaborating to Solve the Hard ICT Problems in Public Safety and Security”. This symposium will bring the local business community (including small, medium, and large size firms) together with regional, national, and international representatives of the public sector, private sector, academia, and the research community to jointly explore how information and communications technology (ICT) can be used make both cyberspace and the real world safe and secure. What is this Year’s Conference Theme? This year’s conference theme is “Privacy, Security and Trust by Design: PbD - The Gold Standard.” With the growth and ubiquity of data in today’s hyper-networked world, the need for trust has become more critical than ever. We need new paradigms that seek to integrate and build privacy, security and trustworthiness directly into technologies and systems from the outset and by default. PST2010 is a combined business and research conference attracting a multidisciplinary audience of researchers, corporate and government executives, recognized academics and student leaders. Attendees come together to present, discuss and review the latest issues, trends, challenges and opportunities related to privacy, security, and trust and the impact of this research on the economy. Not only will PST2010 attract a wide scope of delegates geographically, but it will also draw attendees from a variety of professional backgrounds. More information about the program and registering for PST2010 is available on the conference web site: http://pstnet.unb.ca/pst2010. PST2010 offers a range of partnership packages to leverage your marketing and branding programs while also providing customized opportunities for specific business requirements. Three partnership packages are outlined below. An Industry Keynote speaker slot for an expert from your organization. A table (in the foyer, near the registration desk) at Innovation Day to network with attendees. Two full conference registrations good for all sessions including the opening reception, banquet, and other meals and events.